MAGONIA MAGAZINE ARCHIVE: A Universe of Spies. Part 1. A Universe of Spies. Part 1. Ufologists have preferred the terms reconnaissance or surveillance to describe these operations. Some, like Keyhoe, are more precise and call it spying. Spies evoke connotations of furtiveness, moral ambiguity, and psychological complexities which the other terms skirt. It is my feeling that no psychohistory of the UFO mythos will get very far without an understanding of how the aliens-are-watching-us anxiety came to occupy a central place in ufological thought. A review of the concept seems a logical starting place in this exploration. Explaining it all will be deferred to till after we prove there is something here that really does need explaining. The flying saucer era opened in an atmosphere of deep intrigue. Kenneth Arnold saw nine objects brush by Mount Rainier at speeds far beyond that of anything then being tested by the US Air Force. Arnold believed they were unconventional craft being tested by the government. The public was fascinated. The Pentagon was, however, confused. It wasn’t anything of ours, they were fairly sure. Was it something of the Soviets? They got a lot of German scientists from World War II and we knew the Nazis had a lot of wild ideas. But why fly it here? It set a lot of heads scratching in the intelligence community. 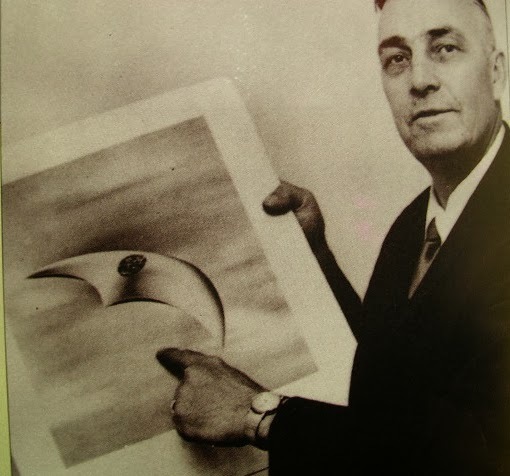 Almost simultaneously, in a report for Project Sign dated 13 December 1948, James E. Lipp offered the first thoughtful analysis of the notion that extraterrestrials were involved. From the text it is evident that various people had begun taking the possibility seriously. One paragraph dealing with the reconnaissance concept is particularly notable. One other hypothesis needs to be discussed. It is that the Martians have kept a long-term routine watch on Earth and have been alarmed by the sight of our A-bomb shots as evidence that we are warlike and on the threshold of space travel. (Venus is eliminated here because her cloudy atmosphere would make such a survey impractical.) The first flying objects were sighted in the spring of 1947, after a total of 5 atomic bomb explosions, i.e. Alamagordo, Hiroshima, Nagasaki, Crossroads A and Crossroads B. Of these, the first two were in positions to be seen from Mars, the third was doubtful (at the edge of the Earth’s disc in daylight) and the last two were on the wrong side of Earth. It is likely Martian astronomers with their thin atmosphere, could build telescopes big enough to see A-bomb explosions on Earth, even though we were 165 and 153 million miles away, respectively, on the Alamogordo and Hiroshima dates. The weakest point in the hypothesis is that a continual defencive watch of Earth for long periods of time would be dull sport, and no race that even remotely resembled man would undertake it. We haven’t even considered the idea for Venus or Mars, for example. The public knew little more than the fact that saucer sightings kept popping up from time to time. The Mantell case, in particular, in January 1948 seemed to remove the possibility it was all some kind of joke. The Air Force seemed to be taking it seriously, but it still downplayed the materiality of the phenomena as well as the Soviet or outer space notions about their origin. The editor of True magazine thought their behaviour was “damned queer” and called in Donald Keyhoe to snoop around aviation circles to see if he could turn up anything. (21) Keyhoe thought the Air Force’s treatment of the Mantell case looked like a cover-up. he was also unimpressed by their handling of the Gorman and Chiles-Whitted cases. A former intelligence officer provided Keyhoe with a scenario in which saucers were remote-control “observer units with television eyes sent from an orbiting space base”. This would be a prudent preliminary step to determine if we were a “fiercely barbarous race” before exploring the world in person. 1. For the past 175 years, the planet earth has been under systematic close-range observation by living, intelligent observers from another planet. 2. The intensity of this observation, and the frequency of the visits to the Earth’s atmosphere by which it is being conducted have increased markedly during the past two years. 3. The vehicles used for this observation and for interplanetary transport by the explorers have been identified and categorised as follows: Type I, a small nonpilot-carrying disc-shaped aircraft equipped with some form of television or impulse transmitter; Type II, a very large (up to 250 feet in diameter) metallic disc-shaped aircraft operating on the helicopter principle; Type III, a dirigible-shaped, wingless aircraft which, in the Earth’s atmosphere, operates in conformance with the Prandtl theory of lift. 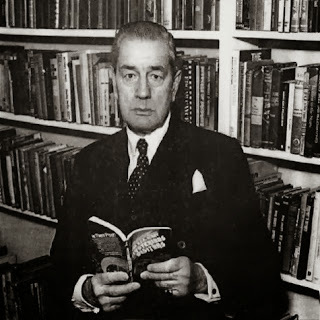 Whatever their faults in retrospect, Keyhoe’s writings were seminal in directing the future course of the UFO mythos. Keyhoe was read by many, heard in the media by many more. Ufologists adopted his thesis sometimes explicitly, often implicitly. Far and away the best argument for the surveillance concept was made by Otto Binder in his 1967 magnum opus What We Really Know About Flying Saucers. In the finest empirical tradition he cited a series of reports which at least do show aliens engaged in activities suggesting a programme of observation. Saucers are shown manoeuvring around objects in an inquisitive manner; aliens are shown taking samples of soil, vegetation and animals; aliens are shown to be watching people; and saucers are shown bearing searchlights. With this array of evidence he concluded with a measure of logical force that a Project Earth Reconnaissance exists which could mean either future conquest or peaceful scientific exploration. is going to disappear from the UFO mythos. There are no signs that the aliens-are-watching-us idea is going to disappear from the UFO mythos. Despite blows to its credibility in the seventies, it continues to garner adherents. From the standpoint of historical development, it seems indisputable that the idea arose less from scientific necessity or force of evidence than from the habit of the intelligence community to regard deception and furtiveness as the natural order of things. No one questioned the fact that aliens would a priori behave immorally and indulge in questionable tactics to mislead humans about their existence. No one questioned whether or not aliens would be behaviourally and ideologically diverse. All behaved like it is the most natural state of affairs to believe the universe is filled with spies to the exclusion of curious extraterrestrials imbued with a spirit of open enquiry or mutual exchange. The reconnaissance idea never pulled together into a coherent framework more than a minor fraction of Type I cases. As McCampbell found out, no more than 2% of the cases implicate the existence of alien investigators. A crashed or captured reconnaissance disc has never been tendered for display at MIT or the Smithsonian. Predictions based on the concept have consistently been proven wrong. Given the persistence of the idea and the irrational nature of the arguments that supported it, a question arises: could it be that ufologists are telling people something they need to believe? 65. Story, Ronald; “Encyclopedia of UFOs”, Dolphin, 1980 66. Lem, Stanislaw; “One Human Minute”, 1936.